This page is dedicated to my visit to this museum on 23Sep07. 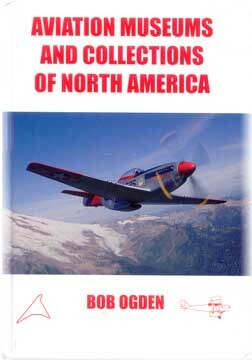 The information below was provided by the museum on leaflets and the website; the identification was done through Bob Ogden's book "Aviation Museums and Collections of North America". Canada's Bomber Command Memorial: Honouring all those associated with Bomber Command during WWII and commemorating the activities of the British Commonwealth Air Training Plan. The Fleet Fawn was in service as a primary trainer when the BCATP was created in 1939. With excellent characteristics together with a rugged strength, it inspired confidence in novice pilots. 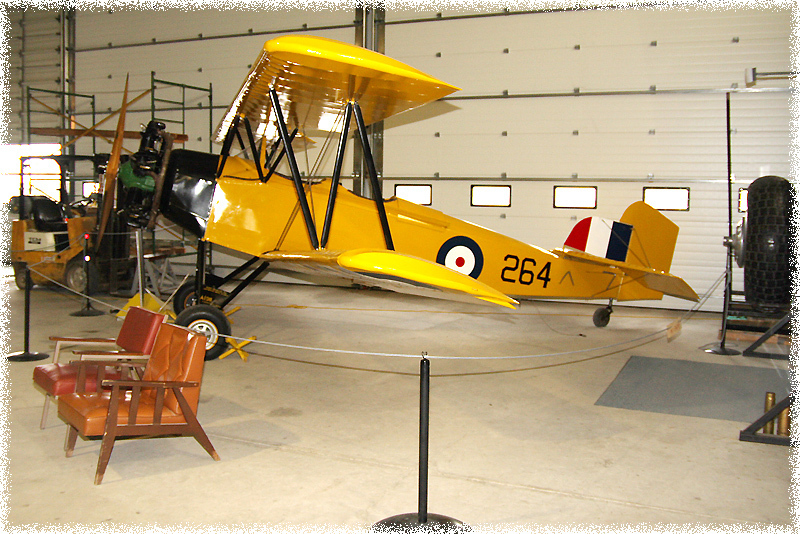 The museum's Fleet Fawn was delivered to the RCAF in 1938 and used throughout the war. With speed, ceiling and lifting power that no other aircraft could match, the Avro Lancaster was the most successful bomber used by Bomber Command during WW II. Generally flying under the cover of darkness, air gunners manned the rear and mid-upper gun turrets but the Lancaster had virtually no defensive armour. A pilot, flight engineer, navigator, wireless operator and bomb aimer/front gunner completed the crew of seven. The Lancaster first flew in January 1941 and by war's end 7374 had been built. Of these, 3932 were lost in action. The role of the Lancaster was summarized by Sir Artur T. Harris, RAF Chief of Bomber Command, who said, "the Lancaster took the major part in winning the war with its attacks on Germany. On land it forced the Germans to retrieve from their armies half their sorely needed anti-tank guns. The Lancaster won the naval war by destroying over one third of German submarines in their ports and six of their largest warships. Above all, the Lancaster won the air war by forcing Germany to concentrate on building and using fighters to defend the father land, thereby depriving their armies of essential air support". 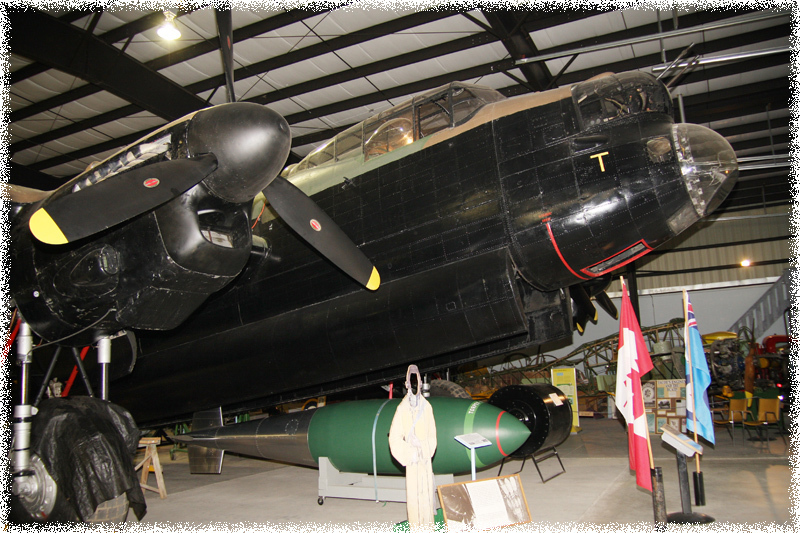 The museum's Lancaster is one of 430 built in Canada. It did not see action during the war but served with No.407 Squadron ar Comox, BC in the 1950s in a maritime reconnaissance role. 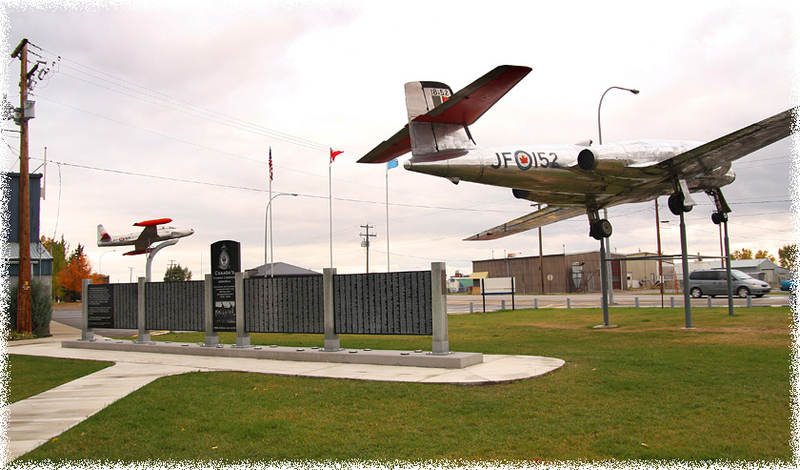 Three Nanton residents purchased the aircraft in 1960 and donated it to the town as a memorial to those who served. The Blenheim served widely as a bomber and in other roles until replaced by more modern aircraft in 1942. The museum's aircraft is actually a Bolingbroke, the Canadian built variant. "Boly's" served with the RCAF as trainers and operationally in reconnaissance and coastal patrol duties. 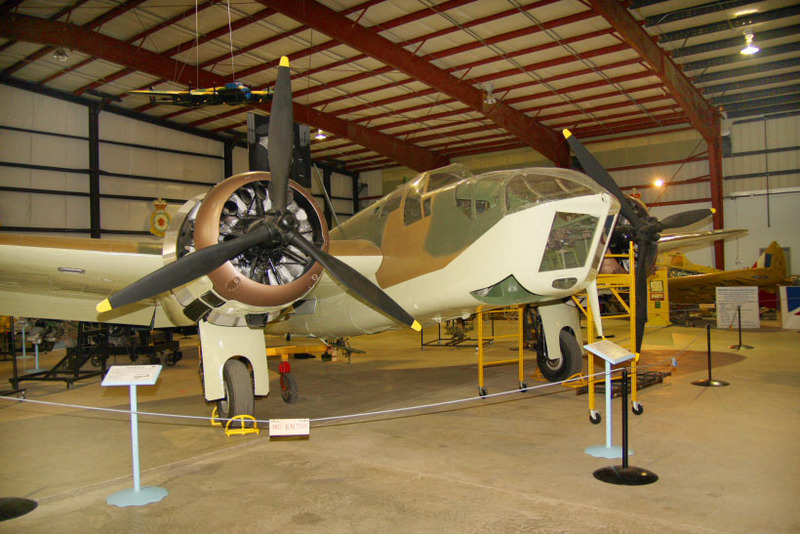 The museum's aircraft has been restored as a Blenheim IV in memory of Barry Davidson, a Calgary pilot who was shot down in 1940 and spent almost 5 years as a POW. See also bottom page. In 1941, the Cornell was selected to replace the aging biplanes. Its performance was poor on warm days at high elevations such as High River. However the Cornell was well liked and remained in service until 1948. 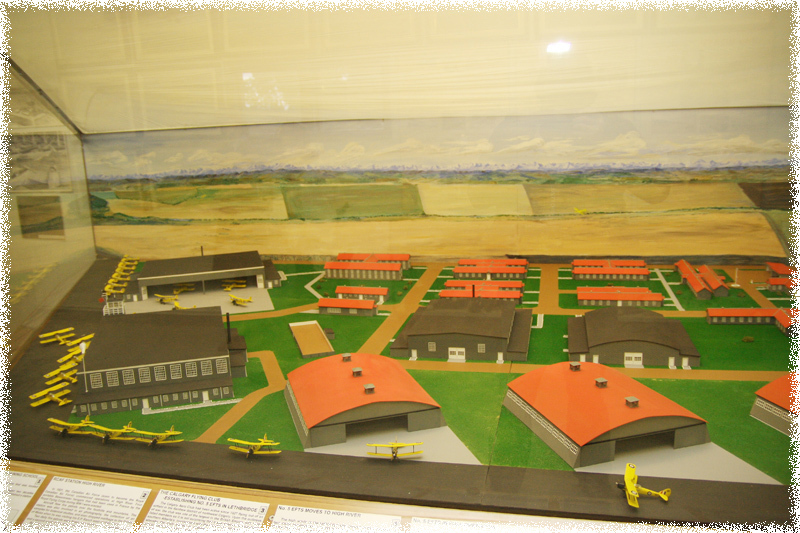 The museum's Cornell was based at Bowden,Alberta from 1943 until 1945. The American built Cessna Crane began service with the British Commonwealth Air Training Plan in 1941 as twin-engined trainer. Originally intended to serve only in a minor role , the Crane provided twin-engined complexity with economy of operation and became one of the most important aircraft used by the BCATP. used to train pilots who went on to fly bombers, Cranes served with the BCATP at six Service Flying Training Schools including No.3 (Calgary) and No.15 (Claresholm). Nicknamed the "Bamboo Bomber" because of its largely wood construction, the Crane had a reputation as a stable and reliable aircraft. 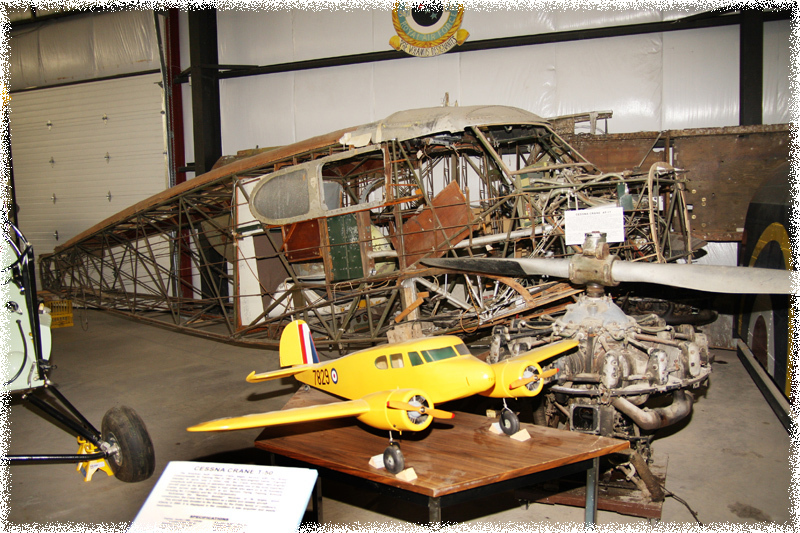 This aircraft was donated to the Society by the Drake family of Lundbreck, Alberta in 2000. The aircraft looks somewhat similar to the Avro Anson Mk.II, also here here on display. widely used a twin-engine trainer under the BCATP. Docile, forgiving, and easy to fly, "Faithful Annie" developed a reputation for reliability. The Society has acquired a number of Ansons and is currently restoring one for display in the museum. Photos in the Gallery, link on bottom page. 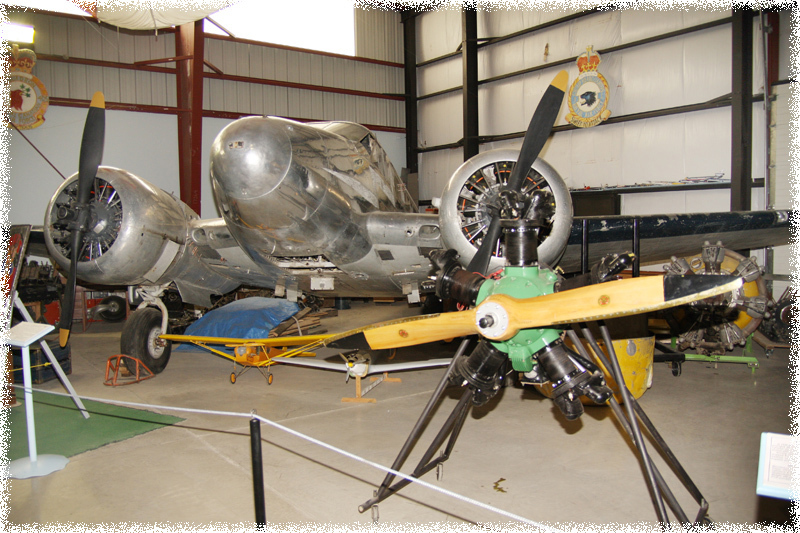 The Expeditor served as a light transport and trainer with the RCAF and RAF during and after WW II. The Society's aircraft was operated by the Royal Canadian Mounted Police from 1946 until 1973. It played a significant role with the aviation division of the Royal Canadian Mounted Police. The RCMP air section was formed in 1937 with the task of supporting the force in the remoteness that is much of Canada. When war broke out in 1939, the RCMP was operating three de Havilland Dragonflies and a single Norseman, all based on the east coast. With the pressures of the war, the Dragonflies were retired and the Norseman used only sparingly. In 1946, two new Beech-18's entered service with the Force along with an ex-RCAF Grumman Goose amphibian. 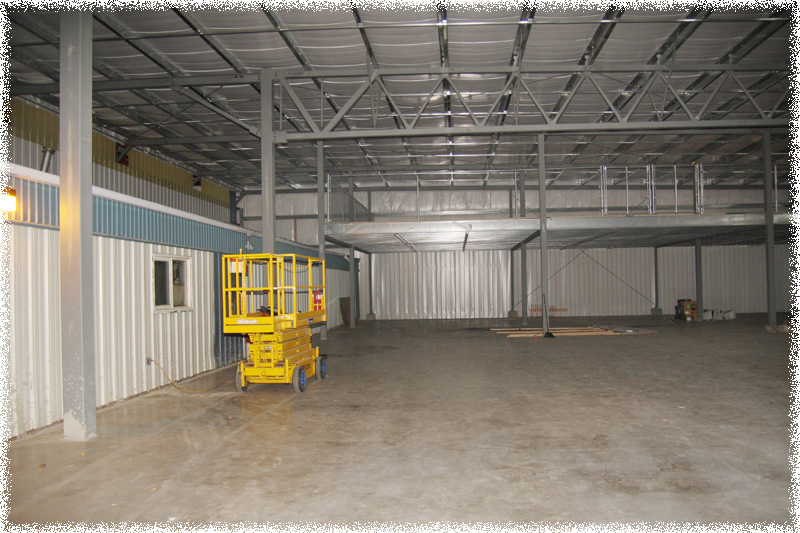 One of the Expeditors, coded CF-MPI, was immediately delivered to Regina where it began a twenty-eight year career, serving primarily in western Canada. 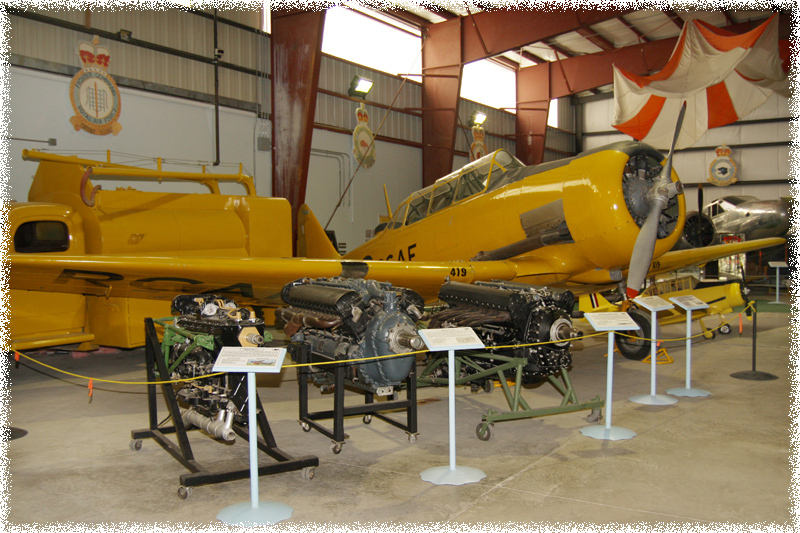 The aircraft was acquired by Orville Rowland of Okotoks who donated CF-MPI to the Nanton Lancaster Society in 1998. As per his wishes, the aircraft will continue to carry its RCMP markings but will also serve as an example of a type of aircraft which served with the Royal Canadian Air Force and the Royal Air Force during World War II. With its distinctive snarl, produced by the 600 horsepower Pratt & Whitney engine, the Harvard was an easily recognized aircraft during WW II. Serving as an advanced single-engine trainer, it prepared pilots to fly the high powered Hurricane and Spitfire fighter aircraft. A total of 3350 Harvards were built in Canada. 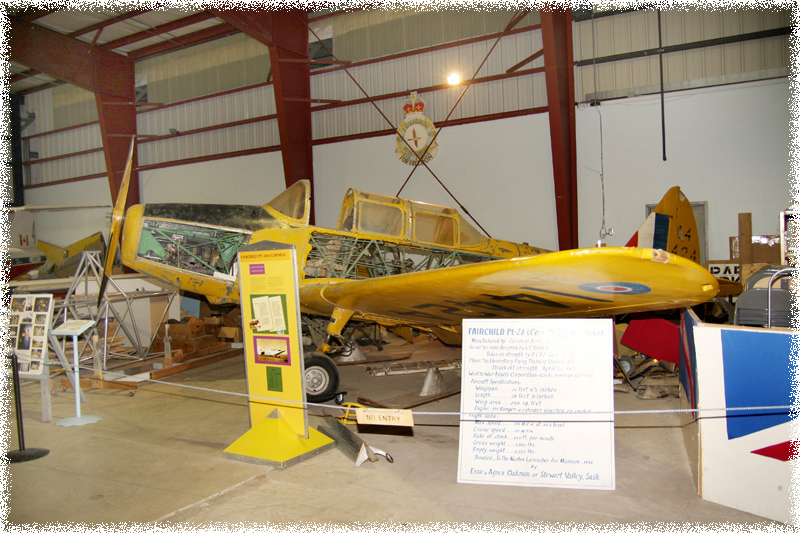 Although very similar to wartime models, the museum's Harvard was built in 1954. It served at CFB Penhold. T the Yale was built for the French Air Force. Following the defeat of France 119 Yales were diverted to Canada. Initially used for pilot training, they were converted to wireless operator training in the latter years of the war. The museum's Yale served at No.6 SFTS at Dunnville,Ontario. 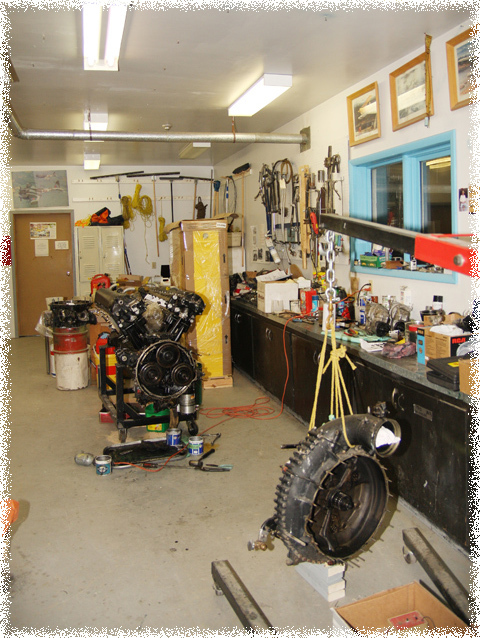 The Nanton Lancaster Society is a non-profit, volunteer society. 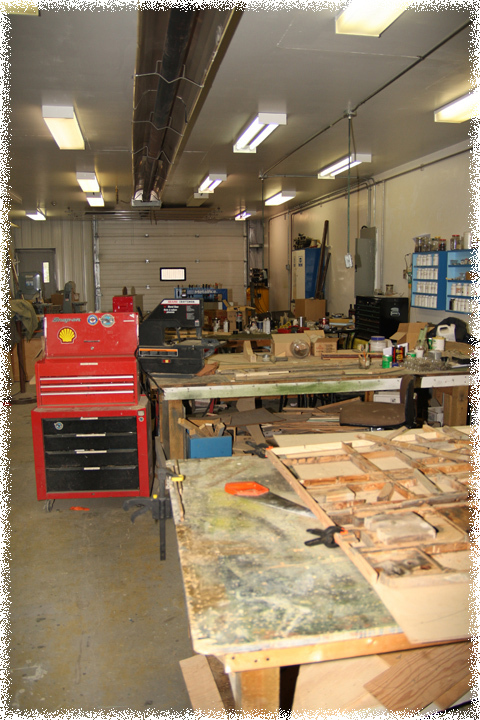 This is a look into the workshop where volunteers work on restorations. I am grateful to Tink Robinson who allowed me a quick glance 'behind the scene'. Work takes place on no.4 Merlin engine of the Avro Lancaster. both cylinder banks had been cleaned, new rings placed on the pistons and the cylinders were honed by Stauffer Aero Engine Overhaul in Calgary. All the engines of the Lancaster are kept in running condition. An extension has been built and awaits the display items. This is a huge step forward for this museum. Facilities have been built to allow people to look down on the collection, something I personally like very much as it allows for a better overview. Ian Bazalgette was the only Albertan awarded the Victoria Cross during WW II. After successfully attacking a V-1 Rocket site, his Lancaster lost 3 engines and was set on fire. S/L Bazalgette ordered 4 of his crew to parachuite but chose to remain on board in an attempt to save 2 others who were injured. He managed to land the aircraft but it exploded and all aboard were killed. 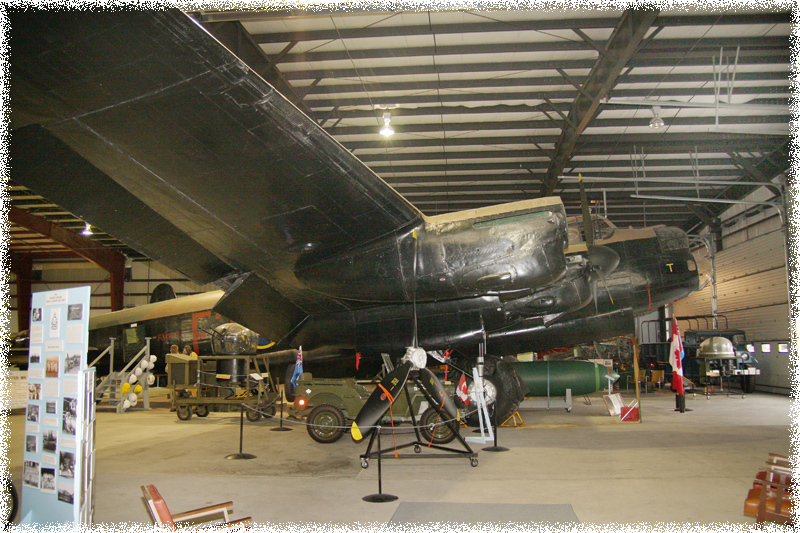 The museum's Lancaster bomber is dedicated to the memory of S/L Bazalgette. The obvious eye-cather is obviously the T-33, but look at that museum extension! 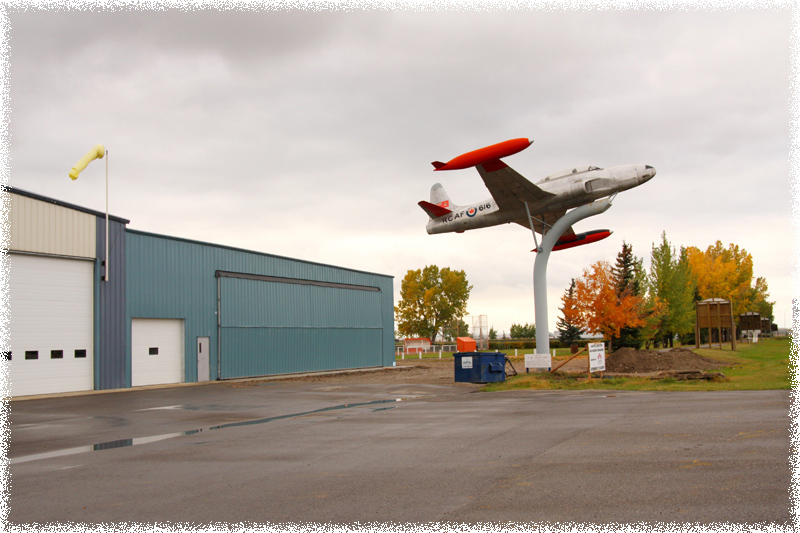 The CF-100 (18152) has been a gate guardian for the museum since 1993. Until the summer of 2007 it was on loan from Dept of National Defense, but work was in progress for the museum to become the owner of the CF-100. While a CF-100 does not fall in the museum's themes of Bomber Command nor that of the BCATP, a Lancaster was used as a testbed for the Orenda engines that powered this first "made in Canada" jet fighter plane. 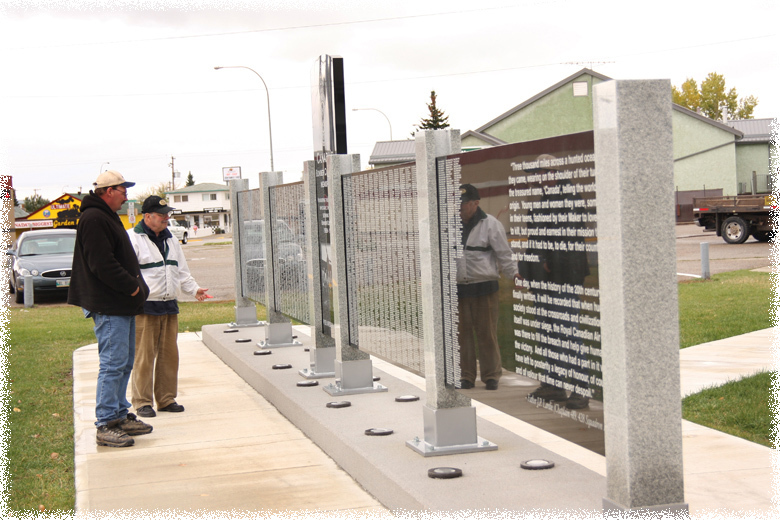 It is also a tribute to Bruce Warren, the Nanton born test pilot who perished while testing one of the prototype CF-100s. 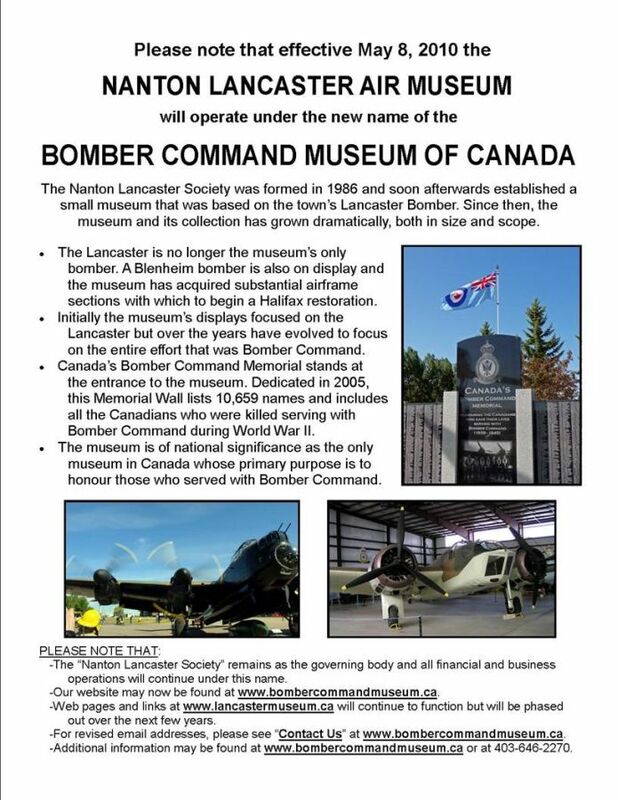 The Nanton Lancaster Society Air Museum RENAMED 'Bomber Command Museum of Canada" effective 08May2010 !!! READ MORE. UPDATE-In 2011 a 2nd edition, fully revised and also including monuments, was published by Air-Britain (Historians) Ltd.
Chapter 4 is titled 'The Great Escape' and details Barry Davidson's short career aviation which ended in a German WW2 POW camp. He was part of a scheme which was filmed by 'Hollywood', titled the Great Escape and Barry Davidson's role was played by James Garner. Barry wasn't among the prisoners who escaped (luckily perhaps, as most were killed) and he was liberated by the Allied Forces. This museum has a memorial dedicated to Barry Davidson.